Discription:These delicious tacos will only take about 30 minutes total to prepare. Some of the condiments you could add are lettuce, tomato, salad, sour cream or whatever you like. 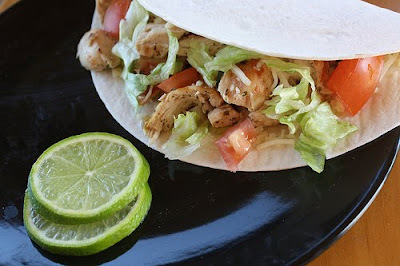 If you are looking for a nice and refreshing change from your normal tacos, give this recipe a try. Enjoy. 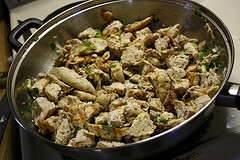 Step 1: Add a little oil to the pan and sauté chicken pieces in the pan for 20 minutes over medium-high heat. Add vinegar, lime juice, sugar, salt, pepper, green onions, garlic and oregano. Simmer for another 10 minutes. Step 2: Warm tortillas and add chicken mixture to each one evenly. Top with cheese, tomato, lettuce and salsa.